Engines Exposed: Just How Far Has BMW's Beastly V12 Come? It looks like this massive engine is on its way out. So you have your V8s, inline-fours, inline-sixes, H4s, H6s, etc...and then there's the V12s. It’s an engine that seems so unique and sounds so mystical when you hear it. But really, what is it? Why is it special? For starters, sizes can range from tiny 3.0-liter blocks to massive 16-liter blocks. The V12’s uses go far beyond just cars, though, as they are primarily used for things like tanks and planes. At least they were. The V12 is definitely cool, very big and can develop tons of power, but they’re on the way out when it comes to road cars. At the moment they’re primarily used for luxury cars because of the smooth acceleration and high performance. They sound good, too. Basically, the thought process behind a V12 is: If you’re rich enough then why the hell not? Otherwise they’re big, complicated, heavy and can be extraordinarily slow. That doesn’t keep them from being one of the coolest engines ever produced, though. Let’s take a look at just one example of a V12 before confining them to the history books forever. In the very late 1980s (almost the 1990s), BMW came up with a brilliant automobile, the 8 Series. BMW’s 8 was big, executive and yet somehow sporty. It could also fly, exactly the same way a boulder rolling down a cliff could. The most powerful (again, MOST powerful) 8 Series BMW in the 1990s that wasn’t just a prototype was the 850CSi. It was over four thousand pounds and held a 5.6-liter V12, creating a whopping 375 horsepower. Wait…don’t Lancer Evo IXs make over 300 horses with a turbo on a 2.0-liter four-cylinder engine? Well, that’s beside the point! In the 850CSi, BMW used the S70B56 engine. This thing was pretty cool, as it used BMW’s VANOS system. That’s a German acronym that in English stands for Very Complicated Valve Timing System. Not really, but just to be brief, BMW’s VANOS is variable valve timing that adjusts the camshafts in order to change the valve's timing based on engine speeds. For example, at lower speeds the camshaft will move so valves will open later in order to improve idling speeds. See? Complicated. It’s still damn cool, though. In any case, let’s get back to the engine being huge. It weighed almost 600 pounds and required two batteries. It had two of everything, as a matter of fact. There were two separate air intakes and two alternators, one to power a separate battery for passenger features like a fax machine or a wine cooler. No, that is not a joke. The S70B56 was the largest variant of BMW’s M70 engine that saw many applications (including the 7 Series), most of the time fitted to an automatic gearbox and occasionally a six-speed manual. The 850CSi could hit 60 mph in six seconds. The M70 engine came with a lot of technically advanced features, including hydraulic valve lifters, an aluminum/silicone alloy engine block, MAF sensors (new for the time), and electronic throttle control (instead of the more common cable). That covers one car, but let’s be fair. The 850CSi is pretty old at this point. It’s awesome how big and loud and obnoxious it is, and how much technology it had to offer, but let’s see how much BMW's V12 has changed. 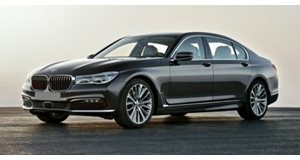 The last time BMW used a V12 was in its 760Li from 2008-2015. It had a 6.0-liter twin-turbo V12 that made almost 550 horsepower. That’s quite a bit more than the S70B56. Let’s go and see what this newer engine has to offer in terms of technology. The 2015 760Li used the N74B60, which is a twin-turbocharged version of the N73, so let’s look at that instead. The N73 had DOHC and direct injection, both of which its predecessor lacked. It kept the VANOS system, and used a valve timing system where each cylinder had its own valve timing assembly. So, more valve technology and such was present, however the N74 (which as you remember is turbocharged) did not have that crazy individual by cylinder valve assembly. Somehow BMW took a step back. Perhaps with turbochargers the V12 finally got too complicated for new technology. Does that mean the V12 hit a brick wall? Does this mean no more development? We’ll see. In any case, this is a small sliver of V12 knowledge. More modern examples could include Lamborghini's V12s, but they started with V12s in the early 1960s. The new Huracan uses a V10, so Lamborghini may even be steering away from its original bread and butter. BMW 850CSi photo credit: Bimmerforums user Omega man 1969.